Aug. 8, 2014, 1:40 p.m. Idea for a "special" daily! Podcast feed just for dailies? I subscribe to the Daily as a podcast through iTunes. Would it be possible to have a separate podcast feed that only contains the Daily, and not the sundry non-Daily videos that also end up in the archives? Didint day9 one time say he was going to make a video about his preparing for his daily, just like his day? Not trying to be pushy but is he still planing on that? 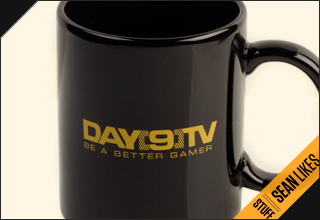 Hi Day9, I was your shows and casts regularly, and was wondering whether you ever addressed the question of how to apply the lessons you teach in your show to one's own games. Gumiho vs losira at the GSL was UNREAL! I dont know if you have access to those replays but dang.. it was gewd! To Day , Please read this.